April 13, 2019 (KHARTOUM) -The Sudanese Professionals Association Saturday has urged the Sudanese people to keep protests and to continue the sit-in outside the army headquarters until to hand over power to civilians. The former head of the Military Transitional Council, Awad Ibn Ouf resigned on Friday after dismissing the army chief of staff Kamal Abdel Marouf on Friday, in response to the street demand. Both were seen as part of the al-Bashir regime. The resignation was celebrated by the Sudanese during the night, as the professionals’ group which coordinates the protests called to remain mobilized until the full power transfer to a civilian government. “Today, we continue our journey to complete our victorious revolution. We celebrate our victories and affirm that our revolution is continuing and will not retreat or deviate from its path to achieve full and legitimate demands of the people: handing over the power to a civil transitional government in accordance with the Declaration of Freedom and Change,” the SPA said in a statement released on Saturday morning. The statement further stressed its demand for justice for all the crimes committed against the martyrs of the revolution and the Sudanese people. The head of the Rapid Support Forces (RSF) who stepped down from the military council to protest the decisions of Ibn Ouf and to press for his resignation expressed his support for the new head of the transitional military council and called for a very short transitional period. “General Abdel Fattah al-Burhan is well accepted by the army, the Sudanese people and an honest man. We cannot accept chaos ” and I call on the protesters to accept the military council,” he said. KHARTOUM – Sudan’s defence minister stepped down abruptly on Friday as head of the country’s transitional ruling military council after only a day in the post, as protesters demanded quicker political change following President Omar al-Bashir’s ouster by the armed forces. 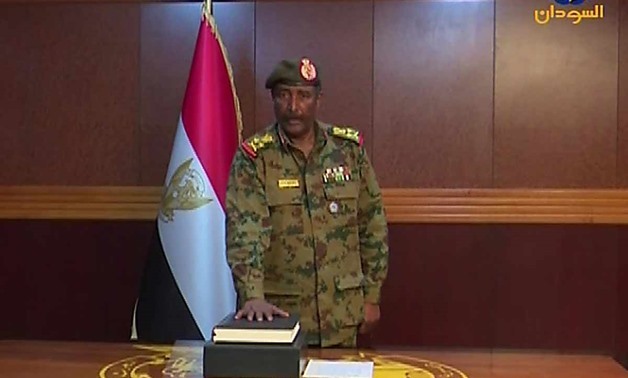 Hours after the military council sought to calm public anger by promising a new civilian government, Defence Minister Awad Ibn Ouf said in a televised speech he was quitting as head of the council. Lieutenant General Abdel Fattah Abdelrahman will be the new head of the council, Ibn Ouf said. He also said Chief of Staff Kamal Abdelmarouf al-Mahi was relieved of his position as deputy head of the transitional military council. “In order to ensure the cohesion of the security system, and the armed forces in particular, from cracks and strife, and relying on God, let us begin this path of change,” Ibn Ouf said. News of the change sparked joyful celebrations in the streets of Khartoum as people chanted, “The second has fallen!” in reference to Bashir, witnesses said. “What happened is a step in the right direction and is a bow to the will of the masses, and we have become closer to victory,” Rashid Saeed, a spokesman for the main protest group, the Sudanese Professionals Association (SPA), told Reuters. The military council said earlier that it expected a pre-election transition to last two years at most or much less if chaos can be avoided. The head of the military council’s political committee, Omar Zain al-Abideen, said the council would hold a dialogue with political entities. The announcement of a future civilian government appeared aimed at reassuring demonstrators who had pressed for months for Bashir’s departure and quickly resumed protests against army rule after his ouster on Thursday, calling for quicker and more substantial change. Bashir, 75, himself seized power in a 1989 military coup. He had faced 16 weeks of demonstrations sparked by rising food costs, high unemployment and increasing repression during his three decades of autocratic rule. Worshippers packed the streets around the Defence Ministry for Friday prayers, heeding a call by the SPA to challenge the military council. The numbers swelled in the afternoon, and a Reuters witness estimated hundreds of thousands of protesters thronged areas around the ministry, which was guarded by soldiers. 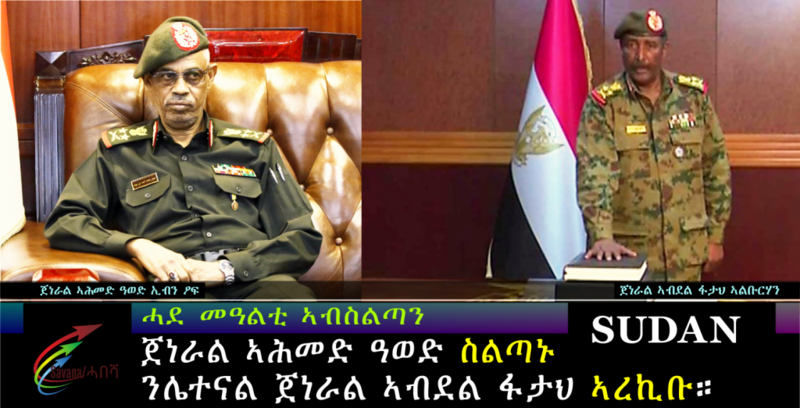 “We do not reject a military council in principle, but we reject these people because they are from Bashir’s regime,” said Abdelhamid Ahmed, a 24-year-old doctor. Ibn Ouf was Bashir’s vice president and defence minister and is among a handful of Sudanese commanders whom Washington imposed sanctions on over their alleged role during atrocities committed in the Darfur conflict that began in 2003. Announcing Bashir’s ouster on Thursday and the creation of the military council, Ibn Ouf also announced a state of emergency, a nationwide ceasefire and the suspension of the constitution, as well as a nighttime curfew. Those steps were criticised as heavy-handed by rights groups. Abdel Fattah Abdelrahman was the third most senior general in the Sudanese armed forces and is not known in public life. 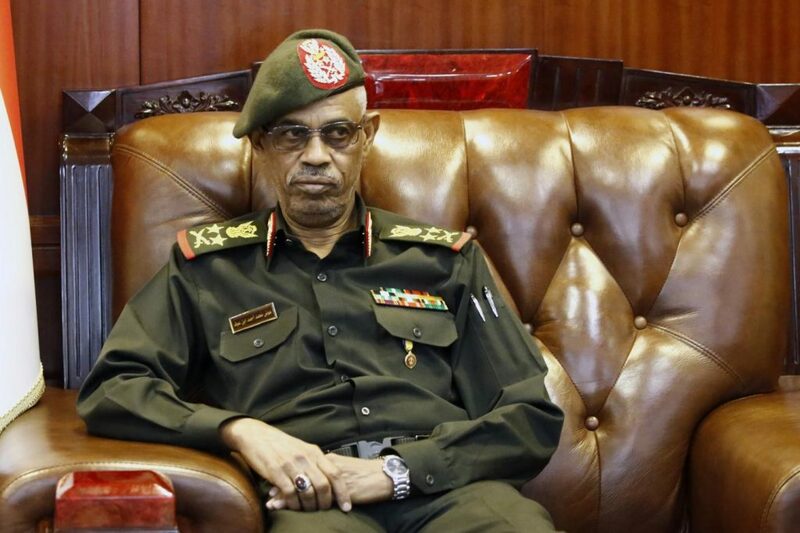 He was the head of Sudan’s ground forces, a role in which he oversaw Sudanese troops that fought in the Saudi-led Yemen war. Sudan’s deputy UN ambassador, Yasir Abdalla Abdelsalam Ahmed, told the UN Security Council on Friday that any democratic process in the country required time, and he urged the international community to support a peaceful transition. “No party will be excluded from the political process, including armed groups,” he told the council during a meeting on Abyei, a contested border region claimed by Sudan and South Sudan. The 15-member council convened later on Friday behind closed doors to be briefed on the latest developments in Sudan. “Moreover, the suspension of the constitution could be lifted at any point and the transitional period could be shortened depending on developments on the ground and agreements reached between stakeholders,” the Sudanese envoy said. World powers, including the United States and Britain, said they supported a peaceful and democratic transition sooner than two years. China said it would continue to seek cooperation with Sudan regardless of the political situation. Zain al-Abideen said the military council would not interfere with a civilian government. However, he said the defence and interior ministries would be under its control. Zain al-Abideen said the military council itself had no solutions to Sudan’s crisis and these would come from the protesters. “We are not greedy for power,” he said. “We will not dictate anything to the people. We want to create an atmosphere to manage a peaceful dialogue”. He said the council would meet on Friday with political entities to prepare a “climate for dialogue,” but that was later postponed. The council said it did not invite Bashir’s National Congress Party to join the dialogue because “it is responsible for what happened.” It warned protesters that the army would not tolerate unrest. Ibn Ouf said on Thursday that Bashir was being detained in a “safe place.” Sudanese sources told Reuters he was at the presidential residence under heavy guard. The council said on Friday it would not extradite Bashir, who has been indicted by the International Criminal Court in The Hague. Bashir is facing an arrest warrant over accusations of genocide in Sudan’s Darfur region during an insurgency that began in 2003 and led to the death of an estimated 300,000 people. He denies the allegations.